Well, to celebrate my 40th birthday, I wanted nothing more than to run away from home and just be with my family. The plan, or rather my wife's plan, was to go to Bornholm... but about a week before this trip, she told me that I could choose, as a birthday gift, between a new camera house or a longer trip. To the Canary Islands and Lanzarote in particular. The choice was easy. I mean, my camera might be old (bought in 2006) but it still works fine, so I didn't take me five seconds to decide. 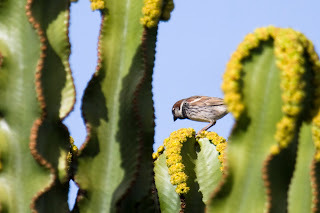 Of to Lanzarote and the town Costa Teguise. 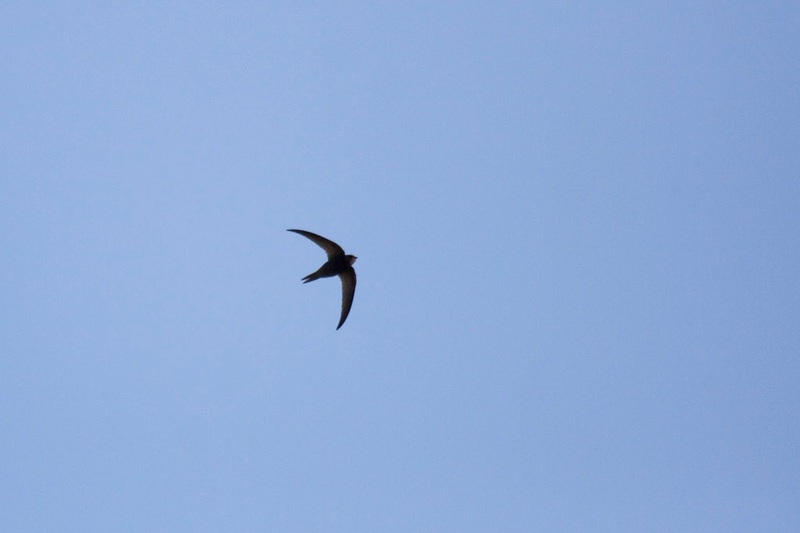 I had done some homework as to which birds might be possible to see. However, it was never going to be a birding trip but a social trip instead. 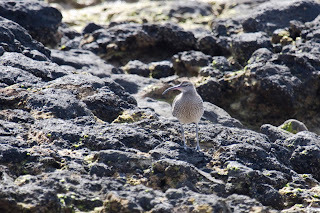 Though we planned for at least one day with a rental car to see some of the island. Because of the quite cold temperature we actually rented a car twice. So, as for birding, there were definitely some interesting birds to see. 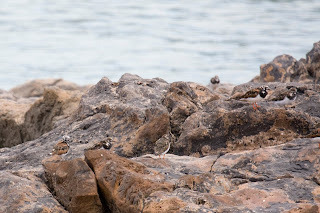 I thought that I should be able to get possibly three new lifers and perhaps as many as five. Well, three I managed but five proved difficult. 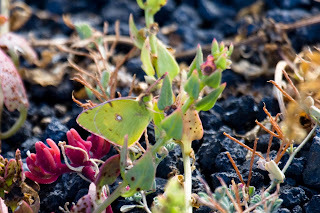 First there are some photos from the area surrounding Costa Teguise and then some from other parts, which we reached by car. First day after we arrived, we went to the beach to check it out. 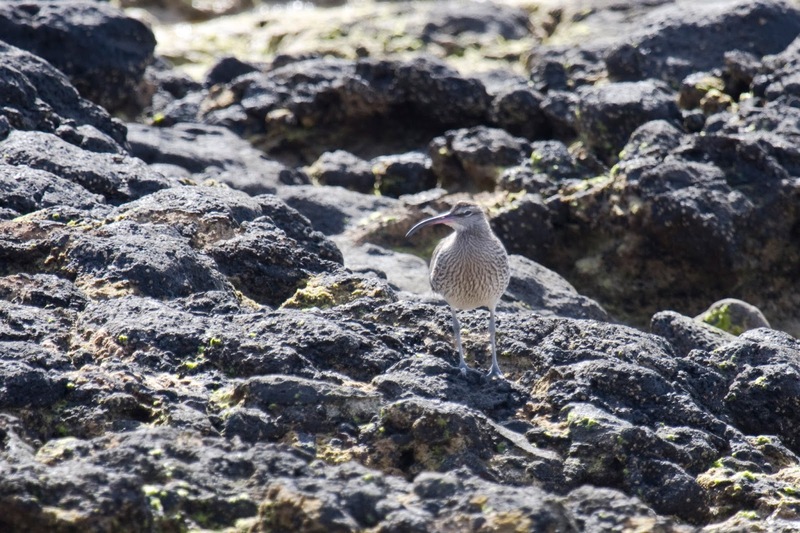 The beach was really nice and as for birds, this Whimbrel was the only thing that showed itself. Another day we rented a four seat bike which took us along the scenery road by the coast. 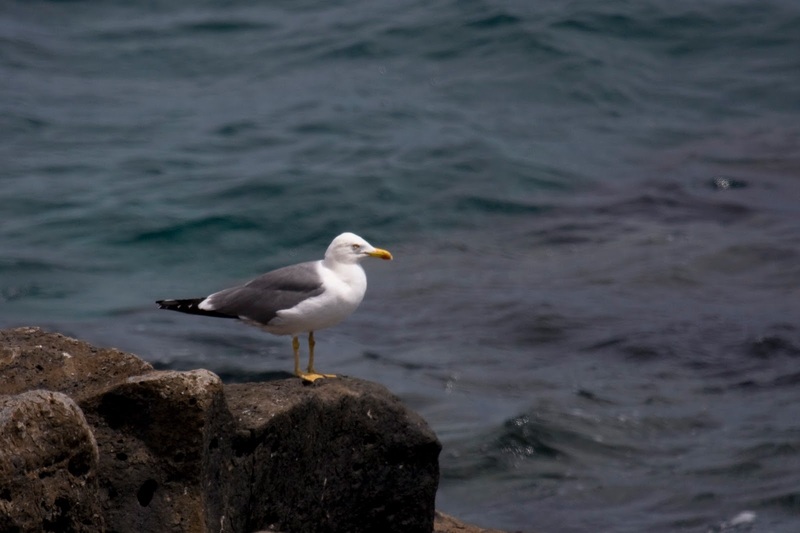 This Yellow-legged Gull, which must be of the atlantic varian (atlantis). 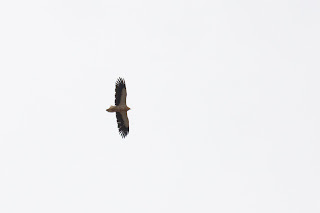 This photo might be fooling the eye a little bit but the wings and back does seem quite a lot darker compared to the Yellow-leggs I've seen in Croatia. During this bike ride I also saw a large Tern. 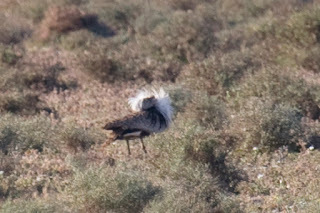 Probably a Caspian but I could never get a good enough look at it. 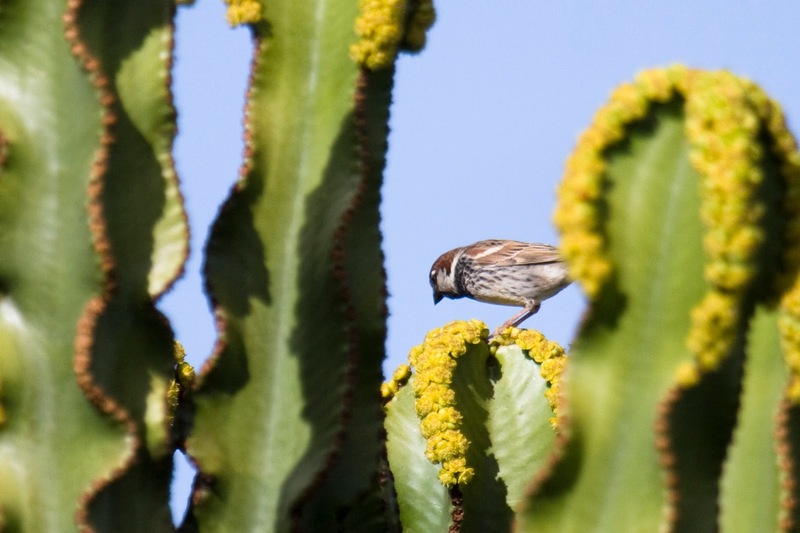 Together with the omnipresent Collared Dove, the Spanish Sparrow was definitely the most common bird. Some 50 meters from the playground, mentioned above, I found this beautiful Southern Grey Shrike. 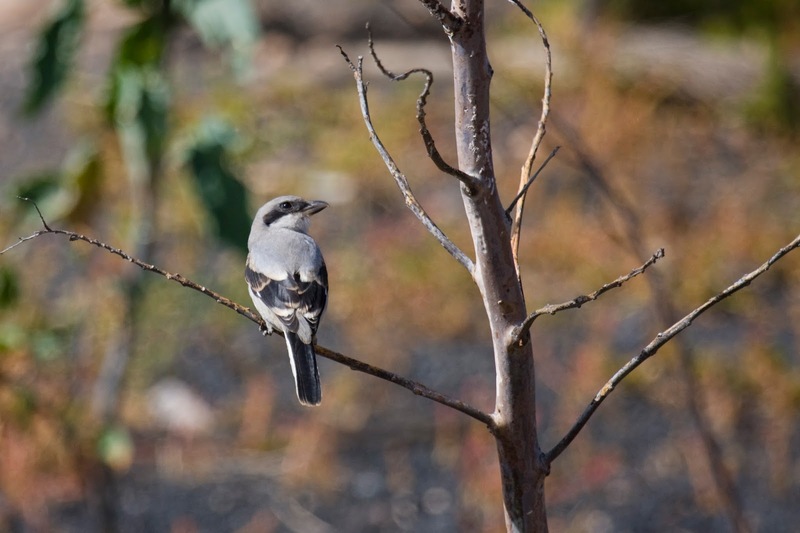 As always, Shrikes are alluring to me and I just stood there and watched it for a long time. Turned out to be quite a common bird on Lanzarote, but I didn't mind. One morning I awoke quite early so I could walk about a bit. 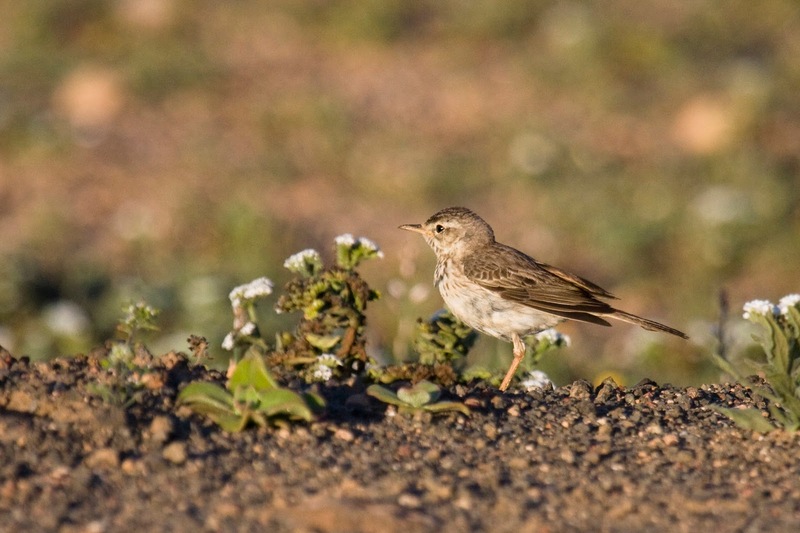 As soon as you get out of the town and into the lava fields the Berthelot's pipits starts to make themselves heard. Difficult to shoot photos of though... at least the ones I tried to shoot. 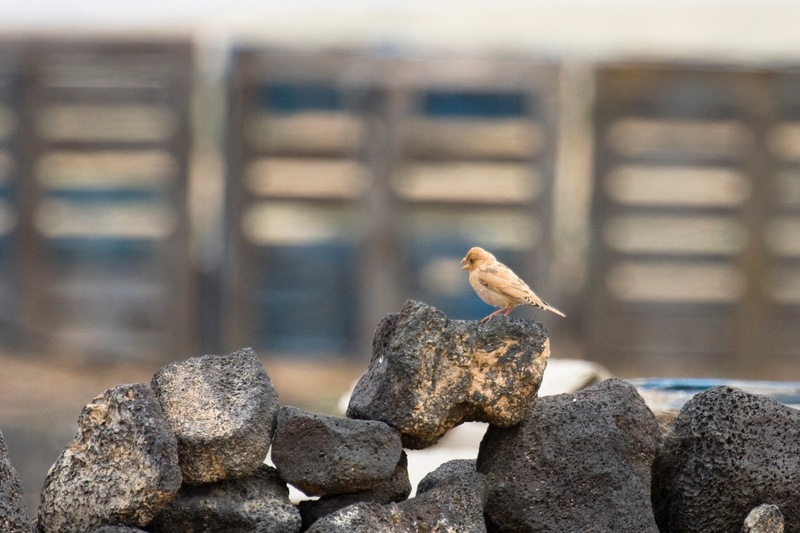 The same morning I saw this Trumpeter Finch. 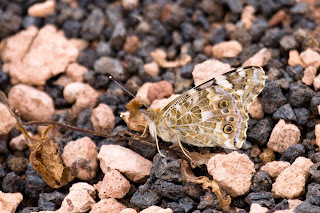 Actually I had already seen one on this trip (photo below) but this was a new lifer for me. 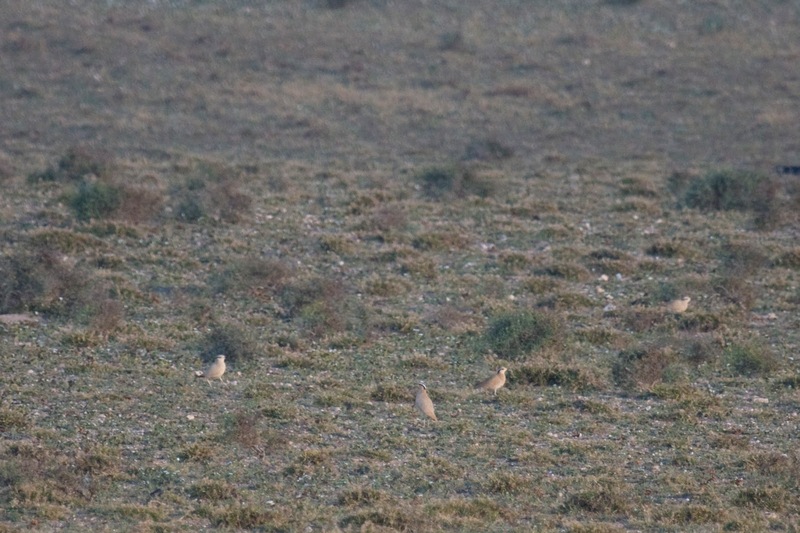 During this shart walk I saw at least four Southern Grey Shrikes and at least four Berthelot's pipits. As I mentioned, during two days we rented a car and drove around the island. 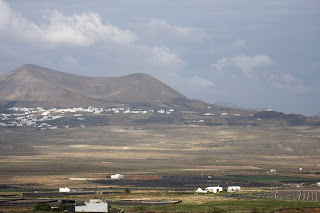 We visited the market in the town Teguise (where I saw a Hoopoe) and then drove around the norhern part of the island. First thing after Teguise was to drive over the plain of El Jable. 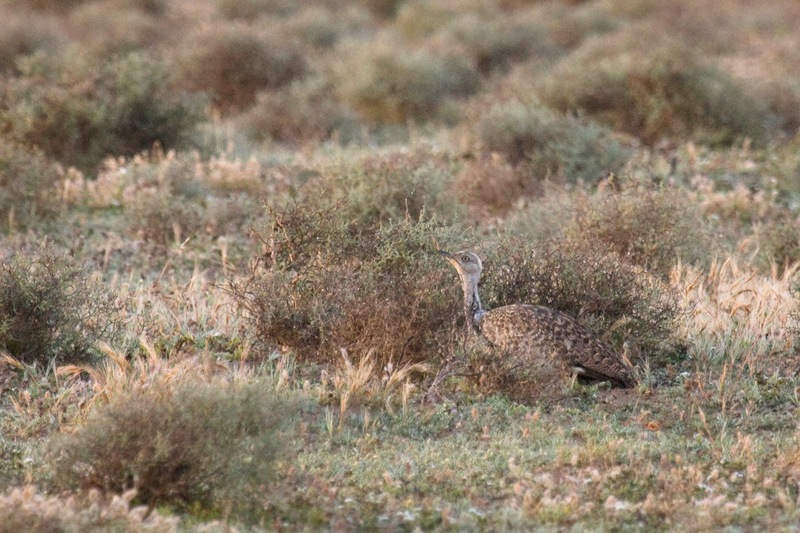 The obvious target species being the Houbara bustard, of course. 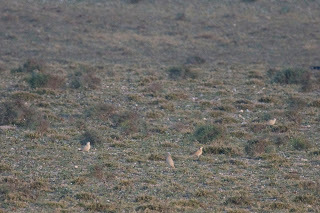 Well, I wasn't lucky... no bustards could be seen. 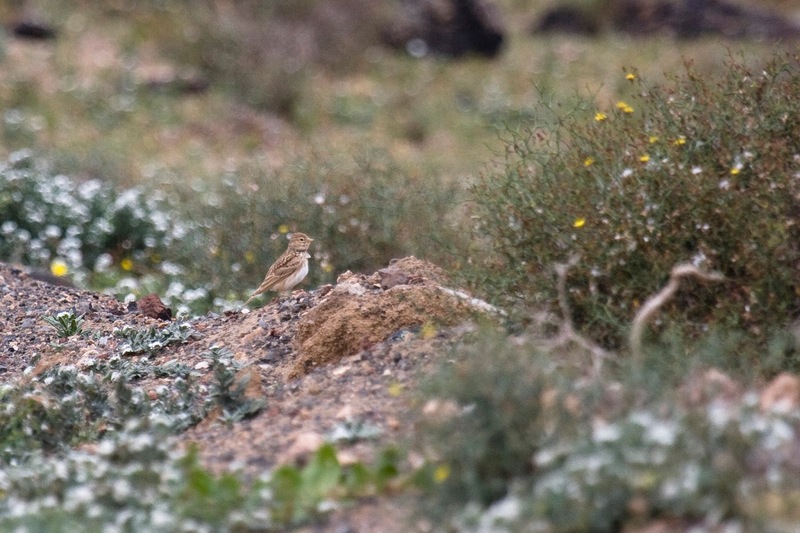 But plenty of Berthelot's pipits and Lesser Short-toed larks. 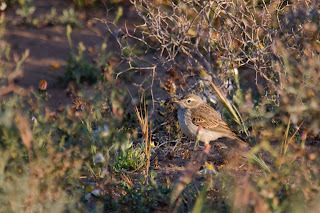 On the other side of the plain, just by the town of Sóo, I finally saw my first Trumpeter finch. 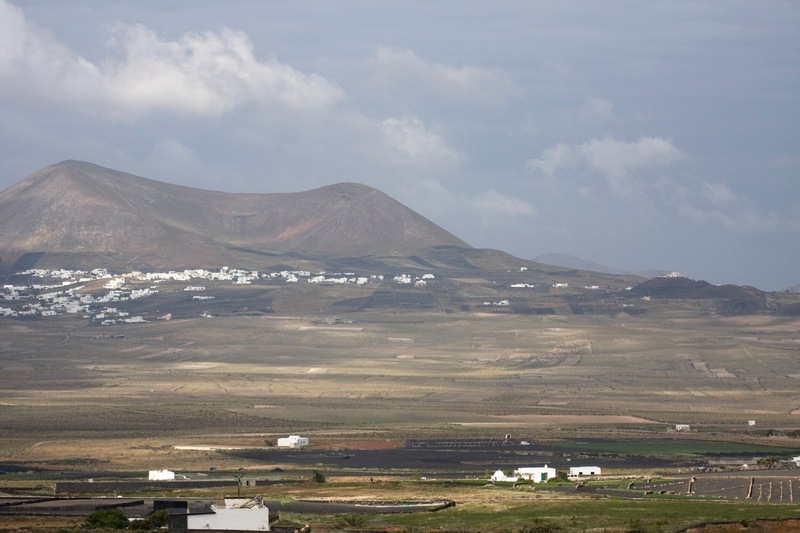 The scenery on Lanzarote is spectacular almost everywhere. Old volcanos can be seen in many places. You are seldom out of view of one. After crossing El Jable, we closed in on Sóo and stopped at a some stone walls, close to some vegetable patches, where this Hoopoe was feeding. 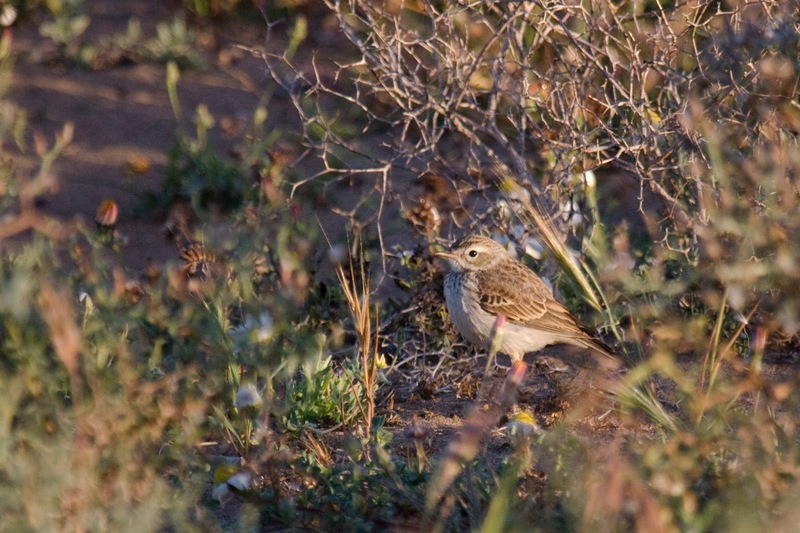 The Lesser Short-toed Lark is easy to find on the El Jable plain. 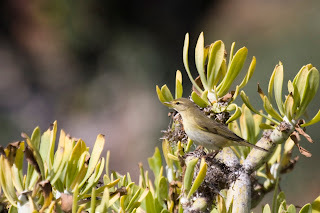 After the El Jable plain, we drove to the lookout point of Mirador del Rio. 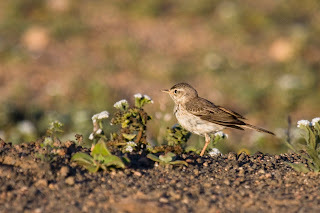 I got my first really good view of a Berthelots't pipit here but didn't manage to take a photo of it. At Mirador del Rio, I saw this nice butterfly. 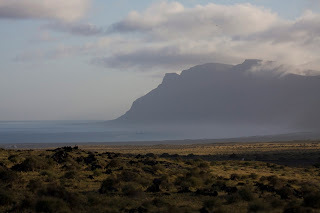 On my 40th birthday, I drove again to El Jable plain. I didn't want to give up on the Houbara bustard so we rented a car the evenening before so I could get out early in the morning. 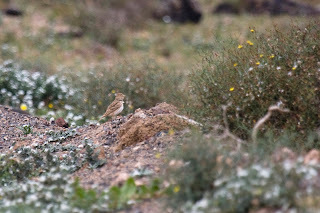 As mentioned before, the Berthelot's pipit is common on the plain and this time I managed to get some photos. Finally!! There it was. In the morning sun. 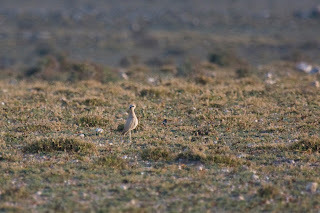 The Houbara bustard. 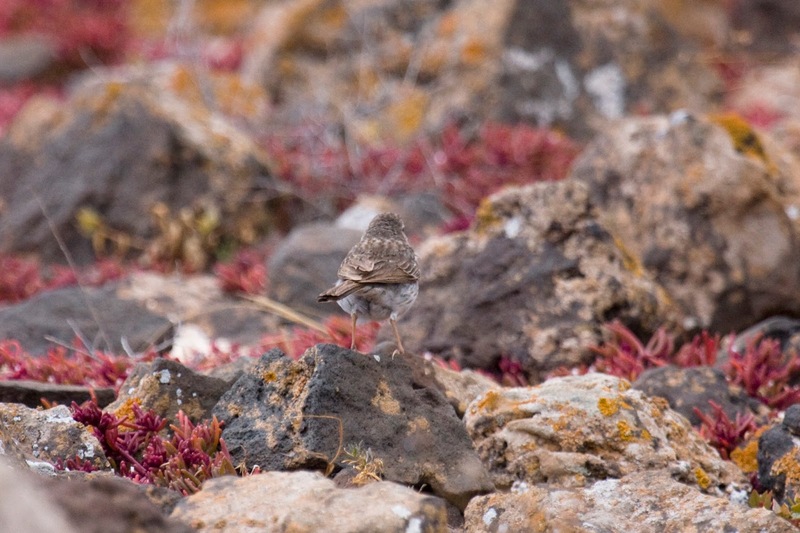 The third lifer for me on this trip. 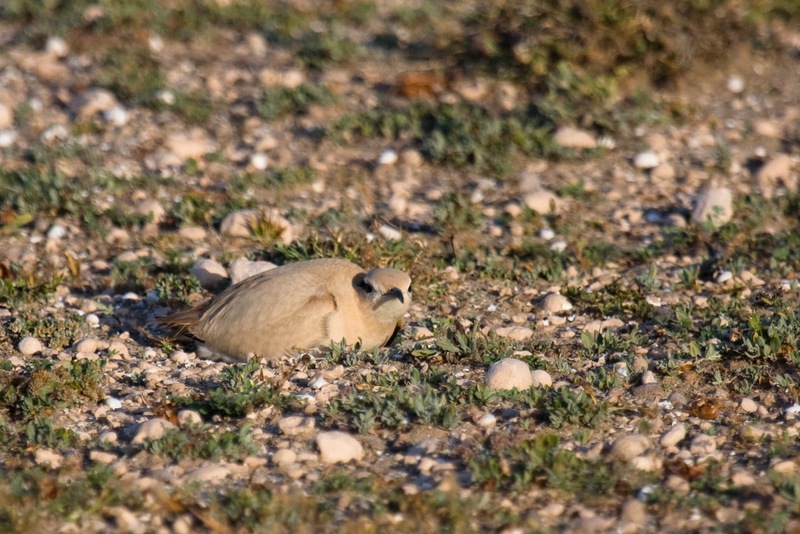 When I drove on after the Houbara, I saw a flying bird which resembled a large shore bird. I drove down a side road to see if I could find it. 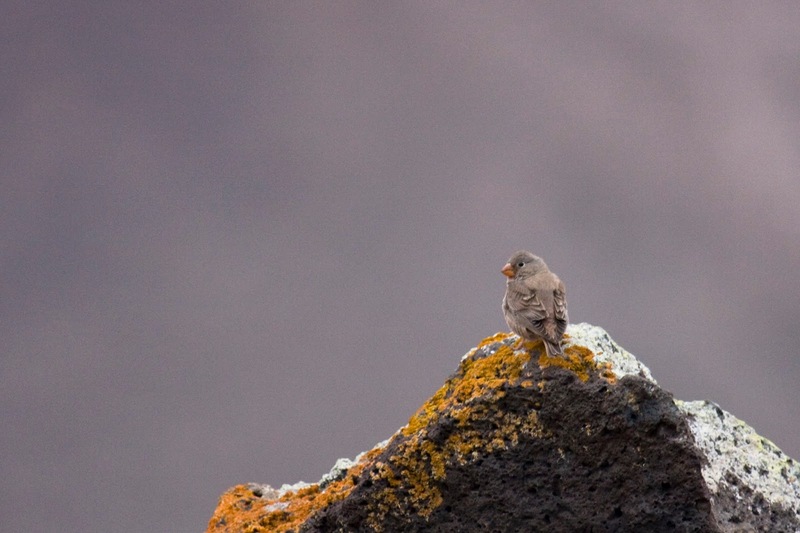 I had a notion in my mind that it could be a Cream-colored Courser and when I found the bird again I was proven to be right. 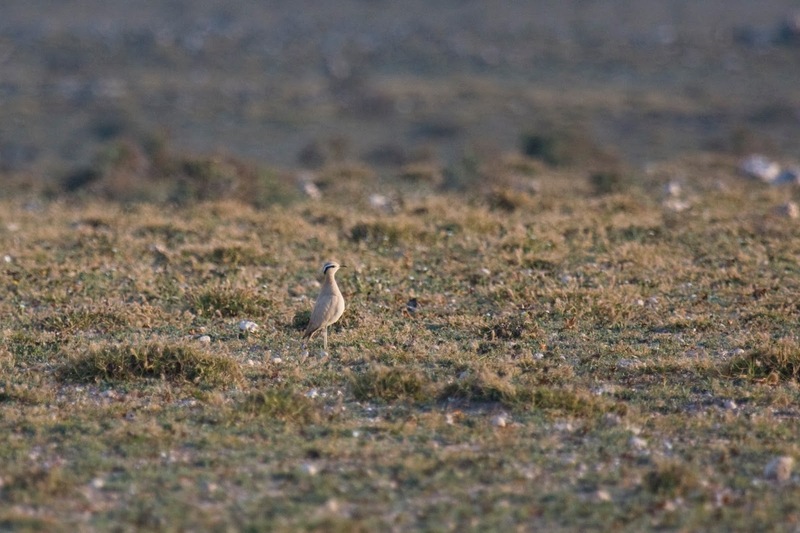 I've seen the Cream-colored Courser before, in Dubai, but never as close as here. 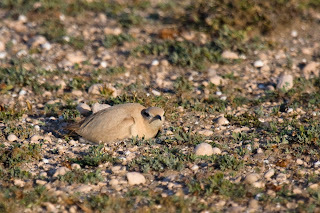 When I got out of the car to shoot some photos of the group of Coursers - there were at least 7 individuals - I more or less stumbled upon this one. I shot some quick photos before receding, in order to not disturb the bird more. 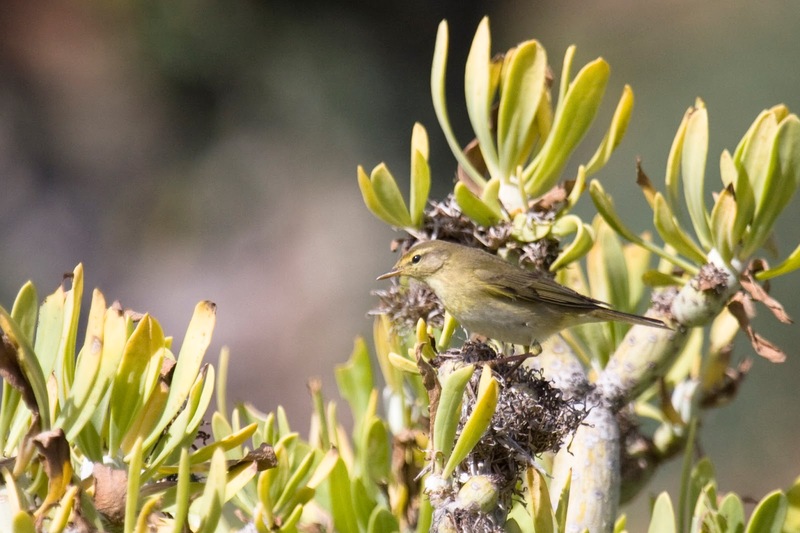 Some of the birds in the group. 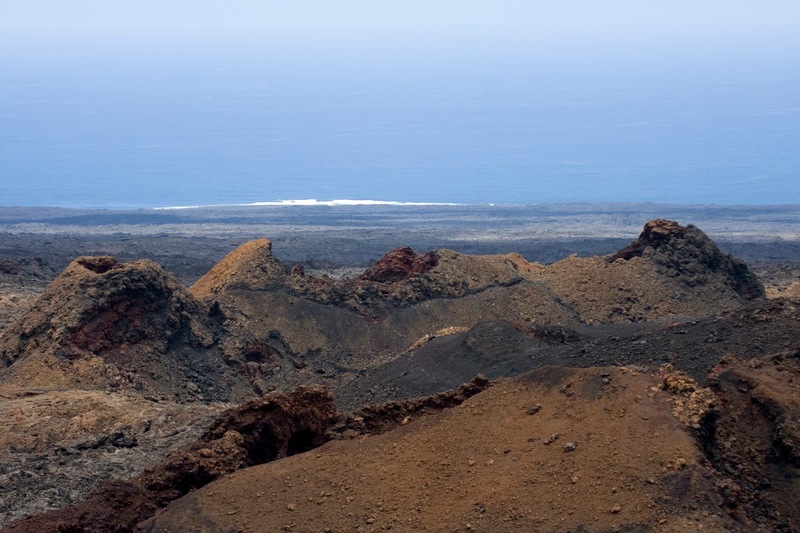 The dramatic view of the west coast of Lanzarote. Beautiful! 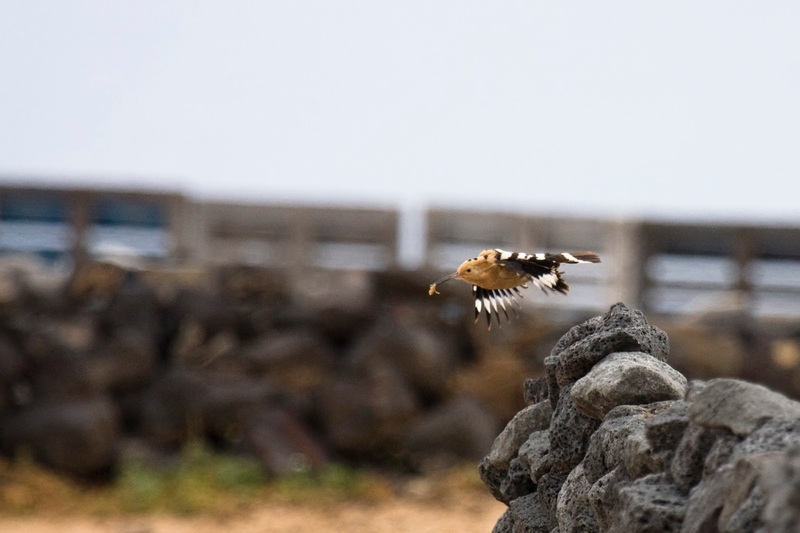 Lanzarote is definitely not only for birding, you can do that without spending a hole week. The scenery is, as mentioned befor, spectacular. 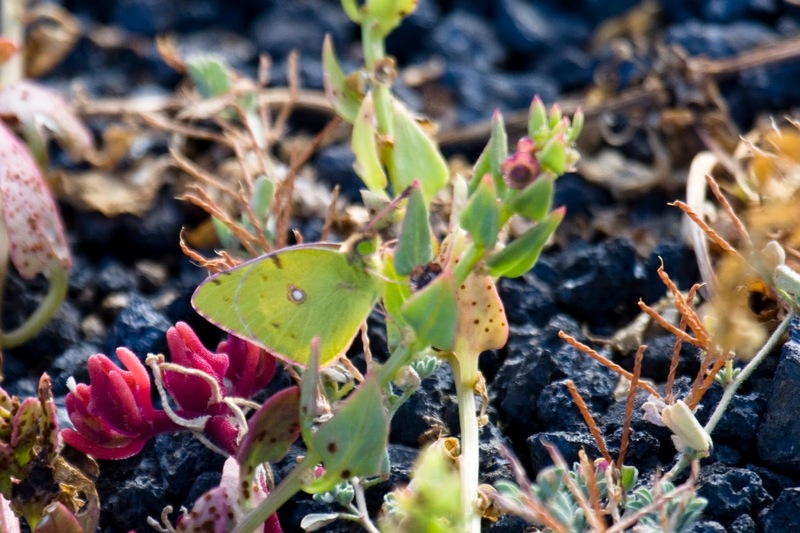 We visitid the national park of Timanfaya, where the latest volcanic activity was recorded. Very interesting and beautiful in its own way. Is definitely worth a visist, even though there are many tourists here. There is also a restaurant here where you can eat volcano barbecue. Meat and vegetables grilled over volcanic heat. 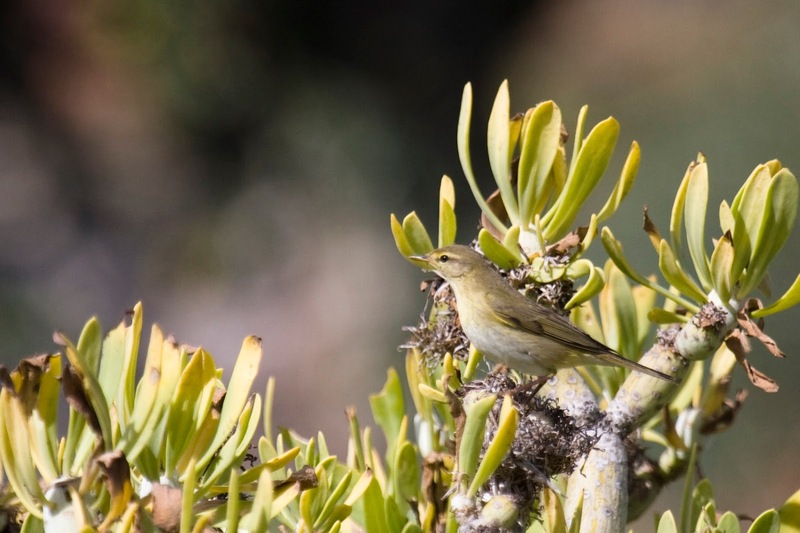 Other birding spots which should be mentioned would include the Salinas de Janubio. We stopped very shortly beside the salinas but I soon realised that a spotting scope would be of great use here. I did see a family of Ruddy Shelducks but nothing more during my short stay.